Last Sunday, it occurred to me that summer was over and my new semester was starting on Tuesday. I had no notebooks, no pencils, I didn't know where my backpack was, and my room was a complete mess. Needless to say, I started stressing out! I'm the type of person who needs a plan for just about anything, and to not have a plan going into a new school semester was just overwhelming. I hadn't even checked to see what rooms and buildings my classes were in! Sometimes I feel the same way about writing. If the story starts to feel chaotic and messy and overwhelming, I stress out. And when I stress over my writing, I tend to avoid it completely. But that doesn't have to be the case! 1. Start a fresh outline. Even if you're in the middle of your book, sometimes drafting out a quick outline can help you feel calm and organized again. I did this a lot while writing my first draft of Unperfected. About halfway through, the story began to feel unorganized and wordy. So, I sat down and drafted out an outline to help me relax and have a plan for where my book was going to go. 2. Copy and paste. Sometimes when your writing feels messy or chaotic, copying the section you're working on and pasting it into a blank document can help immensely. I used to get so, so stuck on what was then chapter 30 of Unperfected (who knows what chapter that is now.) I remember trying to write, but failing because everything just felt messy and unorganized and bad. So, I took the chapter and pasted it into a blank document where I was free to delete, chop, and change as much as I wanted without fear of losing the original. 3. Rewrite. If, no matter what you do, your chapter just comes out messy and your characters are all over the place, it might be in your best interest to scrap it and start over. Sometimes beginning a chapter from scratch a few times gives your brain that fresh start it needs to organize and make the story flow. 4. Move on. That's what first drafts are for, right? If you're getting frustrated and you just can't seem to figure out how to iron out all the bumps, just move on! Start the next chapter, brainstorm a future scene, think up some dialogue--do whatever you want and give your mind a break from the chapter. When you come back to it later, odds are it'll be easier to see what the problem is! 5. Do some physical cleaning. 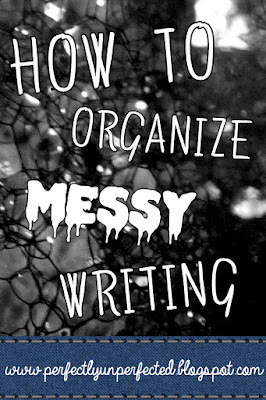 Sometimes our writing can feel messy and unorganized simply because there are actually physical things around us that need to be cleaned! Last week when I was stressed about school, I sat down to try and finish a chapter. But, my words were just not flowing! The pacing felt choppy, the dialogue felt flat and boring, and everything just felt thrown together and messy and suckish. So, I closed my laptop and started cleaning my bedroom. I found my backpack, got the school supplies I needed, checked where my classes were, and organized everything that I needed to organize to prepare for the new semester. Then, when I went to write again, I was much more calm and finished the chapter easily! 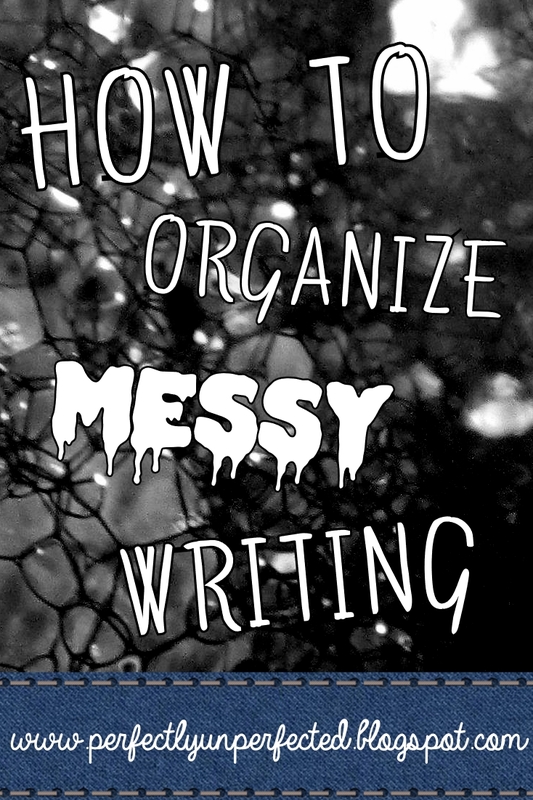 No one likes dealing with messy writing. It's a pain, and it's annoying, but it's also inevitable. Just remember that eventually, your words will smooth out and the story will be fine. Just be patient!